We look at five talking points ahead of the first Test between the All Blacks and the British and Irish Lions at Eden Park on Saturday, live on Sky Sports 1 from 7.30am. The Lions come into the Test series on the back of victories over the Maori All Blacks and the Chiefs, but New Zealand pose an entirely different threat to Warren Gatland's men. Their proud record at home as well as back-to-back World Cup titles make the All Blacks the most formidable challenge in world rugby - but where will the game be won or lost? If the Lions manage to beat the All Blacks at Eden Park they will be the first team to do so in almost 23 years. New Zealand last lost at the Auckland ground in July 1994, when France clinched victory with a length-of-the-field try in the final seconds of the game. Since then, the All Blacks have gone on a 38-game unbeaten streak at Eden Park, in the process seeing off South Africa, England, Australia, and the 2005 Lions. "It [record] adds a variable to use before the game on Saturday," said All Blacks assistant coach Ian Foster. "We love playing there. It has always been a special ground for New Zealand rugby as a whole. We have to play well on Saturday. If we are to add to the legacy of Eden Park, we are going to have to play well." However, it's not just Auckland where the All Blacks are tough to beat - the last time they lost at home on any ground was in 2009, when they were defeated 32-29 by the Springboks in Hamilton. The All Blacks are currently on a 46-game unbeaten streak against all opposition in New Zealand, giving an acute indication of the enormous task ahead of the Lions. Eddie Jones has taken to referring to his England replacements as finishers, a phrase that hasn't quite caught on with other coaches, although there is merit in the thinking. Gatland has loaded his bench with international experience - the eight Lions awaiting orders from the sidelines have a combined total of 350 Test caps between them in comparison with the 216 caps on the New Zealand bench. Additionally, Gatland appears to have opted for some impact from key players later in the game, with Maro Itoje likely identified as someone who can cause problems for the hosts in the second half, while Leigh Halfpenny's reliable boot could be called upon to edge out a close encounter. The Lions' replacements are important due to the fact that New Zealand really come to the fore in the final quarter. When Wales played the All Blacks at Eden Park in 2016, the visitors were 21-18 ahead in the 62nd minute before going on to lose 39-21. In last year's Rugby Championship, the Kiwis led South Africa by seven points in Durban going in the last 20 minutes, and by the end of the game they had beaten the Boks by a record margin of 57-15. It is said that rugby has become a 23-man game in the modern era, and that is most applicable when taking on Steve Hansen's side. Saturday offers an interesting battle in the midfield as two former stars of rugby league go head to head. Lions centre Ben Te'o clashed with the All Blacks' Sonny Bill Williams as Sydney rivals in Australia's NRL, and will lock horns once again in Auckland. The Lions will want Te'o to subdue Williams and help shut down his much-vaunted offloading game, but Te'o believes the All Blacks' attacking variety means there will not be too many collisions with his former league rival. "I've been lucky enough to play against him a couple of times," said Te'o, of Williams. "We're both at 12 but whether we meet on the field, who knows. "I'm wary of his abilities, I know what he can do in big games, I've seen it before, so we'll be preparing well for it. "He's a great player; we'll have to see what happens on Saturday." Williams was the man who provided the offload for Ihaia West's winning try when the Blues beat the Lions earlier in the tour - will Te'o keep his opposite number quiet on Saturday? Despite their renowned ability with ball in hand, it's a myth that New Zealand teams don't kick away possession. Aaron Smith, Beauden Barrett and Ben Smith will happily put boot to ball when called upon, which makes the Lions' back three an important component of the game. Liam Williams, Anthony Watson, and Elliot Daly have all played full-back in their professional careers and are therefore adept under the high ball as well as on the counter-attack. The trio pose a threat near the opposition tryline, but it is their work inside their own half that will dictate the Lions' chances in the game. As will be the kicking game of the visitors, which will be led by Owen Farrell and Conor Murray. The pair will look to pin the All Blacks deep in their own territory, and trust the defensive work of their team-mates to keep them there. New Zealand are able to score from anywhere on the pitch, but if the Lions' half-backs can continuously retreat the Kiwi forwards and tire them out throughout the encounter, the visitors will be in with a chance. It's all very well picking players who can score tries, but the Lions will need to stop their hosts from crossing the whitewash if they hope to come away with a first-Test win. With Andy Farrell in charge of defence the tourists have been frugal in New Zealand; conceding seven tries in six games, with their defence against the Maori All Blacks particularly impressive. In Rotorua that day the forwards got on top of the opposition pack, and the defensive line speed shut down the threat of Damian McKenzie and the outside backs. With Beauden Barrett aiming to unleash his world-class finishers, the defensive press from the Lions will need to be at its suffocating best at Eden Park, and New Zealand coach Hansen said his side is expecting exactly that. "You would assume that because they have had a lot of success with their line speed and their ability to dominate up front that that's what they'll try and do with us," said Hansen. "Have we got a plan for it? Well obviously we hope we do. "We'll see how good the plan is when we get out there on Saturday night but it would be very foolish to believe they're not going to bring some line speed." 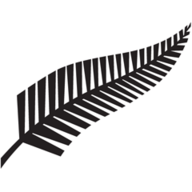 New Zealand: 15 Ben Smith, 14 Israel Dagg, 13 Ryan Crotty, 12 Sonny Bill Williams, 11 Rieko Ioane, 10 Beauden Barrett, 9 Aaron Smith; 1 Joe Moody, 2 Codie Taylor, 3 Owen Franks, 4 Brodie Retallick, 5 Samuel Whitelock, 6 Jerome Kaino, 7 Sam Cane, 8 Kieran Read (c). Replacements: 16 Nathan Harris, 17 Wyatt Crockett, 18 Charlie Faumuina, 19 Scott Barrett, 20 Ardie Savea, 21 TJ Perenara, 22 Aaron Cruden/Lima Sopoaga, 23 Anton Lienert-Brown. 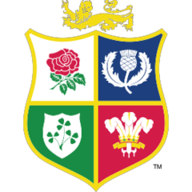 British and Irish Lions: 15 Liam Williams, 14 Anthony Watson, 13 Jonathan Davies, 12 Ben Te'o, 11 Elliot Daly, 10 Owen Farrell, 9 Conor Murray; 1 Mako Vunipola, 2 Jamie George, 3 Tadhg Furlong, 4 Alun Wyn Jones, 5 George Kruis, 6 Peter O'Mahony (c), 7 Sean O'Brien, 8 Taulupe Faletau. Replacements: 16 Ken Owens, 17 Jack McGrath, 18 Kyle Sinckler, 19 Maro Itoje, 20 Sam Warburton, 21 Rhys Webb, 22 Jonathan Sexton, 23 Leigh Halfpenny.